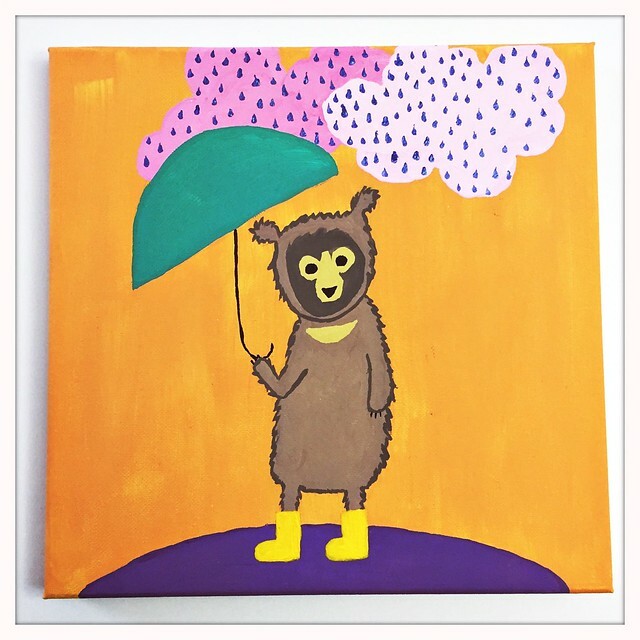 It's a new season so I've added to my sister's bear painting collection with this sloth bear painting. This sloth bear turned out real cute! I love the colors! Even the raindrops are pretty okay. This turned out super cute! I love it! Thanks! It is my favorite so far!